DOWNEY — Kash Morrison occasionally glances down while repairing cellphone towers in a harness nearly 100 feet above the ground. “It’s funny because I can sometimes see people walking around down there looking at their phones, and they don’t even know I’m working above them,” he said. Morrison, 23, is a welder, machinist and owner of Morrison Fabrication in Downey, a small, rural East Idaho town surrounded by cedar-flecked rolling hills, miles of dry farms and timber country. It’s where Morrison was raised, and where he’s operated his own business since he was 17. Most of his work consists of building and repairing farm equipment and other metal commodities for customers throughout East Idaho: round feeders for cattle, $550 apiece; custom porch swings, $250 apiece; harrow bars, $150 apiece. It’s work he’s been doing his whole life, Morrison said Tuesday, clad in oil-caked jeans, sunglasses and a dirty baseball cap outside his shop. But the knowhow to transform his skills into a business received some help from other avenues. Like many tradesmen in Idaho, Morrison opted for a career-technical program in college — an increasingly attractive route for Idaho’s rural families. The People’s Perspective, a public opinion poll conducted by Idaho Education News, recently found that rural parents are less likely than suburban parents to prefer a four-year college and more likely to prefer trade school for their kids. 52 percent of rural parents said they would prefer a four-year degree for their children, compared with 77 percent of Idaho’s suburban parents. For Morrison, it was a two-year stint in Idaho State University’s computerized machining technology program in Pocatello that helped him gain the confidence to make his craft his profession. It also helped sharpen his skills at operating the hodgepodge of machinery that now graces his shop, including a computer numerical control (CNC) plasma table, bandsaw, lathe and mill. For years, Idaho’s Division of Career-Technical Education has pumped millions of dollars into efforts to bridge the state’s work force gap, implementing courses at a number of school districts and establishing 14 dedicated professional-technical high schools. Ninety-eight percent of high school CTE students earned a diploma in 2015-16. Ninety-four percent of graduates found a job or moved into postsecondary education. Sixty-four percent went on to some form of college, compared to 46 percent of all Idaho students. Ninety-four percent of career-technical college graduates either found jobs or continued their education. Morrison’s mother, Piney Morrison, agrees with the majority of respondents to the recent poll, saying rural kids often seek jobs that reflect their upbringings in more remote parts of the state. And it’s not just a career-technical education’s hands-on emphasis that frequently attracts rural kids and their families, Kash Morrison said: His computerized machine certificate saved him thousands of dollars compared to the current cost of earning a bachelor’s degree at ISU. “I have friends with accounting degrees that aren’t even using them, and they paid a lot more for college than I did,” Kash Morrison said. Currently, ISU’s regular in-state undergraduate tuition is $3,583 per semester. Over a five-year period, this amount rounds out to $35,830. The university’s total cost for an associate of applied science degree through its college of technology is about half that, at $16,553. Money saved via a vocational degree has grabbed the attention of Kash Morrison’s 14-year-old brother Kole, a full-time employee at Morrison Fabrication during the summer months. 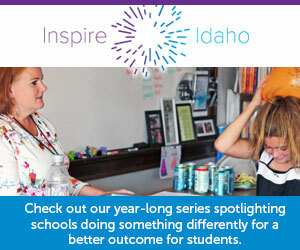 Disclosure: The People’s Perspective survey and Idaho Education News are funded by the J.A. and Kathryn Albertson Family Foundation.